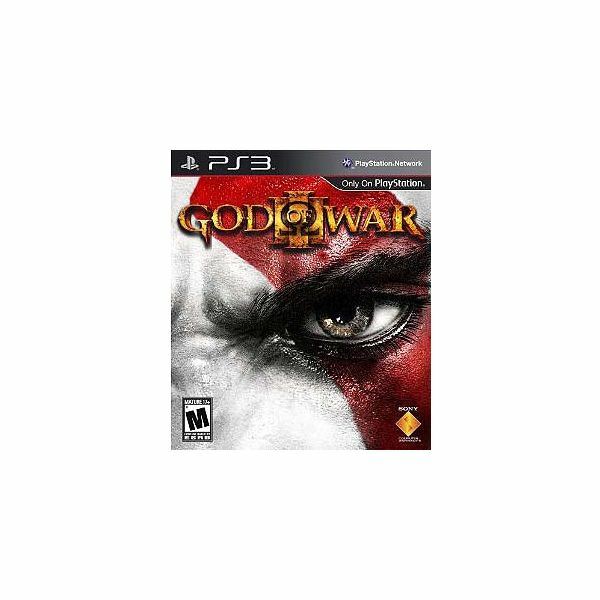 Continuing after the first part of this God of War 3 guide Kratos has traveled to the outside of the Heart of Gaia. Immediately, you will face Poseidon in a boss battle. Prepare yourself. Poseidon has two attack patterns in this phase. At first he will strike with his trident with a single long stab. When he does this, dodge out of range until he stops. Then roll quickly as you can to get close to him as possible. Attack him a few times and then dodge away again. Another thing Poseidon will do is attack with three short strikes using his trident. After the first strike, jump up the side of Gaia’s head to avoid being hit by the trident. When the third attack finishes, quickly jump down and roll close to Poseidon to attack him. Watch out for his punching arm attacks. Keep following these tactics until Poseidon is stunned (the O button will appear on screen). Climb up Gaia’s head to the top and press the O button which leads to a sequence of attack button moves you need to complete. When done correctly, phase 1 of the Poseidon boss battle is complete. Even though you have removed some of Poseidon’s grip from Gaia, he still has claws attached to her. You will need to attack the claws to get them off of Gaia (the L1+ square button is especially effective). Unfortunately, when you do so he emits an energy attack that covers the ground you are standing on. When this happens, move Kratos toward you by jumping a couple of times, then rolling to avoid as much damage as possible. When you attack Poseidon’s claws (they are on the left and right sides), move to the opposite side after a couple of successful strikes. Poseidon also attacks with another large claw that will slam down on you if you are not careful. Once you have done enough damage, he will get stunned. Press the O button when near him and a sequence of attack actions will follow. If completed correctly, Kratos will fly off of Gaia towards another area. You will now face Poseidon in a human form. Another brief sequence of attack button action follows and you will kill him. Climb onto Gaia’s hand and she will take you to the top of Mount Olympus where you will face Zeus. The confrontation is short since Zeus zaps Gaia and both of you topple down the mountain’s side. As you are falling off of Gaia, she refuses to assist you and you fall into the River Styx of Hades. When you land in the River Styx, you will need to start moving north. 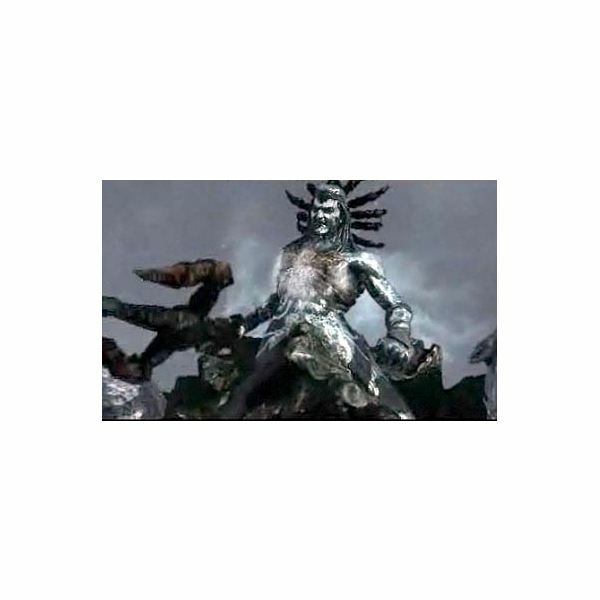 By this point in the God of War 3 walkthrough, you will encounter a couple of enemies who are underneath the water. Quickly dispel their attacks and keep moving until you reach land. You are now in the Realm of Hades. At this point you will speak to Athena who gives you the Blades of Exile. She also tells you to seek the Flame of Olympus. After to talk to Athena, locate the game save point. To reach it, you need to use a grappling hook (R1) to swing over to another platform. When you let go of the grappling hook, quickly double jump then glide over to land safely. Attack the enemies located there to clear the area. Cross over the bridge to reach the game save point. Save your game. Whew! From here jump and glide across a couple of platforms. The second one will have a green orb chest. After this you will reach a third platform where you will face a large group of enemies. You will also be given the Army of Sparta ability, which uses a shield and spear phalanx to drive enemies back. 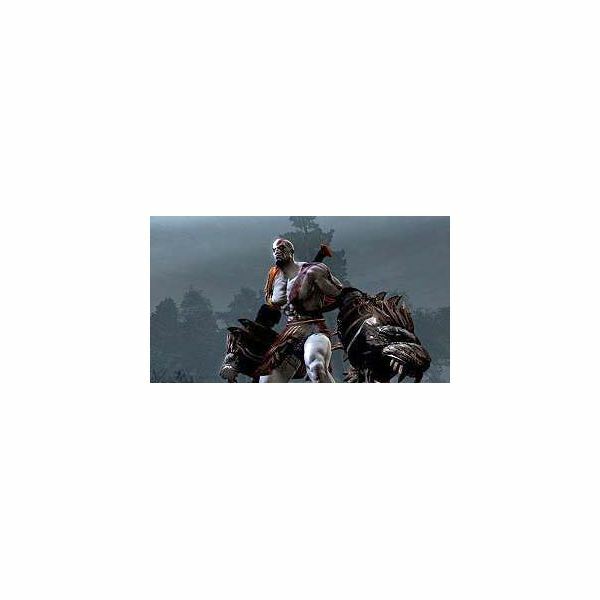 Attack these guys and use the Army of Sparta ability to help get them off of your back. Once you eliminate them jump and climb across the rope locate to the right side of the platform. While you are on the rope, enemies will try to attack you from both sides. Kick at them and use the left control stick to dislodge them if they try to grab you. At the end of the rope press the R1 button to jump down to the platform. Grab the orb chests nearby. At this point in the God of War 3 guide you will need to look for a ledge to jump down on. Once there, open the door (L1 and R1). This will lead to a room with a few Medusa and other enemies. Here you will need to tread carefully. The Medusas can turn you into stone and squeeze the life out of you if they grab onto you. If you do get caught in their tail, use the L1 and R1 buttons back and forth to loosen her grip and cause her damage. Use the Army of Sparta ability to help you out. The L1 + square attack combo is also useful. When a Medusa is stunned, you can press the O button that will lead to an attack sequence for a brutal kill. When you eliminate all enemies in the room, another door on the left will be available to open. Now walk down to a path on your left. Jump over a small pit. On this side you will find a green and blue orb chest. Straight ahead of you is a path that is blocked by large patches of red wood branches. You cannot get by this at the moment. Instead, go to your left to another large room. When you arrive in this room, cross the bridge and jump over to the platform ahead. Here you will see Perithous trapped behind a red wood branch barrier. He asks you to help him, and in return will return the favor. See the ledge to the left of him. Climb up and jump onto the hanging platform you will see on the right. This will show you how it opens up a small gate at the far end of the room. Perithous will also complain that your actions are bringing him dangerously close to fire. Jump of the platform, then jump back on again. This time quickly jump to a small ledge to your left. There is a small container with flammable red branches in it. Drag it off of the edge (R1) so it drops to the ground below. Now pull this container to the Cerberus cage at the far end of the room. The Cerberus will light it on fire with his breath. This causes the container to create a lot of smoke that drifts upwards. Walk Kratos back over to the hanging platform on the left side. Jump back on it and stay put until the gate above the Cerberus cage opens. Quickly, jump off and run back to the smoking container. Jump above it and glide to reach the now open ledge above. Pull the ledge you will see on the left side. This will open the Cerberus cage. The Cerberus is on the loose and Perithous is upset. Unfortunately, there is no way to save Perithous without killing him. Jump down and fight the Cerberus until he is stunned. Press the O button and you will now be able to ride him. Other enemies will also appear. 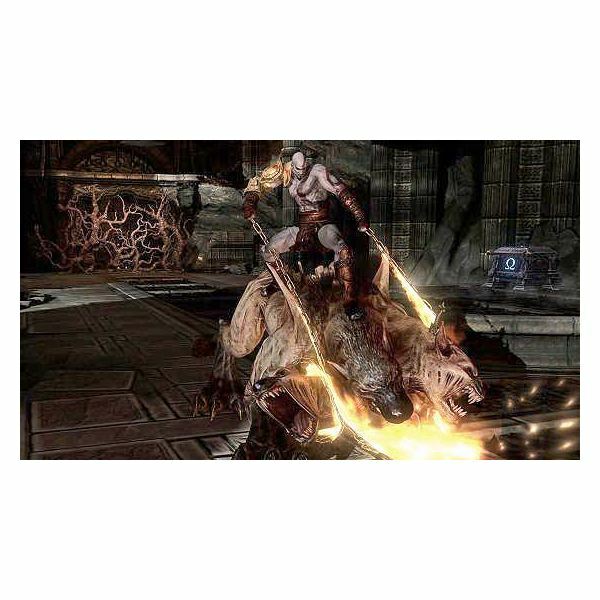 Use the Cerberus to attack with his fire blasts (square button). Move toward Perithous and light the red branches in front of him on fire. This kills Perithous, but gives you access to the Bow of Apollo. More enemies will now appear. Use the Bow of Apollo (L2 +X) to kill the archers located on the ledge above. When the area is clear, head back over the bridge where you came into this room. You are almost at the end of this God of War 3 guide. Go back to the area that is blocked by the red branch barrier. Use the Bow of Apollo to remove the barrier. Hold the L2 and X button. Release the X button after holding it for a couple of seconds. This will release a fire arrow which will set the branches on fire. Beyond this is a save game point. Save your game. Screenshots created by Sheila Robinson. Information on God of War 3 based on Sheila Robinson's game play. In this God of War 3 walkthrough series, learn the details you need to help Kratos defeat the tough bosses, solve puzzles and find important items in the earlier stages of the game. © 2019 alteredgamer.com - All rights reserved.